HOW CAN WE FIX YOUR GUITAR? Stay up to date on current affairs and special offers! For a limited time only, The Fellowship of Acoustics is changing their regular store into a good old-fashioned auction! This means over 200 products will be auctioned off, of course in our own TFOA-Style. 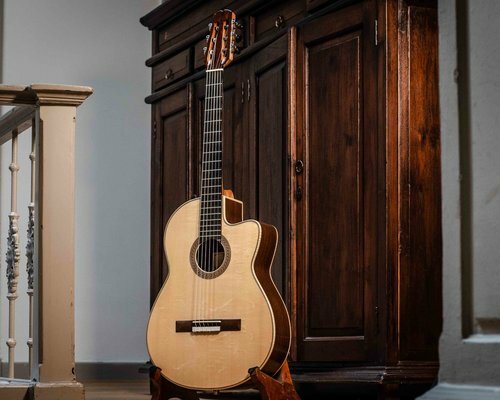 We're big fans of Jaroslav Mach guitars, and they seem to be catching on all over the world! In an issue of the Japanese Gendai Guitar, Jaroslav was interviewed and they spoke very highly of his guitars. 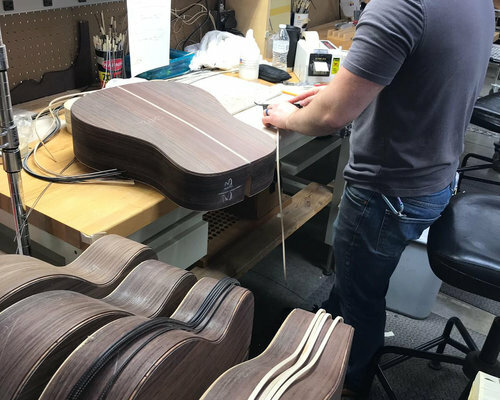 Coen & Rudi were in the USA not too long ago and paid a visit to the Martin & Co factory in Nazareth, Pennsylvania. There they found some nice pieces of tonewood to build custom Martins out of! In our store you can find a selection of the world's finest guitars and more. Not only steel string guitars but also a fine selection of classical guitars, electric guitars, bass guitars, amplifiers, mandolins, ukuleles and banjos. Sign in and stay up to date!